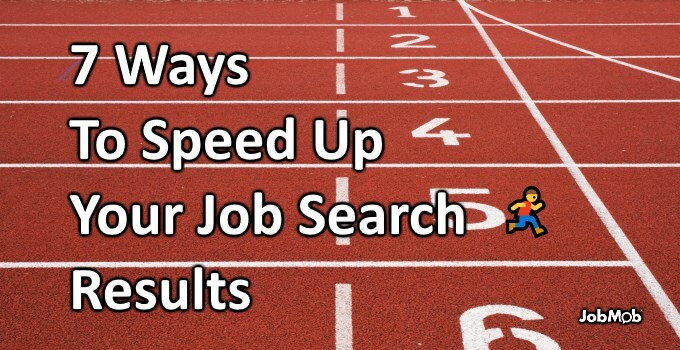 Get to the job search finish line sooner. This is a guest post by Kasey Steinbrinck. If you’re out of work and hunting for a job, you’re not alone. At first, that may be kind of comforting, but it also means there’s plenty of competition. I was once in your shoes. The syndicated radio company I worked for as a producer shut its doors in January 2009 – not a very good time to start a job search by any means. It took me about nine months to find a part-time job and more than a year to get back to full-time employment. But I learned a few things along the way (many of them the hard way). I can’t guarantee you that following these seven suggestions will make your time unemployed completely pain-free, but I know they’ll help make it shorter. You’ve probably heard it’s a good idea to do some volunteering, freelancing or consulting work while you look for a new career. That’s often easier said than done. Looking for job can be a full-time job in itself. Believe me – I understand! However, it really is important to make it look like you aren’t sitting around in your underwear all day. In fact, the Equal Employment Opportunity Commission (EEOC) once held a hearing looking into cases where employers were screening out jobless applicants. Some businesses even come right out and say it in their want ads, but most will simply toss your resume in the trash. That doesn’t make much sense – especially when plenty of good people are looking for work. But the harsh reality is that many potential employers are short-sighted enough to assume that if you got laid off, you’re lazy and worthless. Don’t let them think that! Find some way to be productive. When I lost my job a couple of years ago – I’d never written a blog post in my life. As I was applying for jobs, I found some companies asking for links to my work online. I didn’t have any. So I started a somewhat-goofy personal blog. That got me noticed by a newspaper, and led to the job that got me off unemployment. Even if you don’t consider yourself a writer – you might be surprised at how easy it is – especially if you write about what you know. Check out sites and services where you can write How-To articles and explain things from your industry. You never know who’ll find that material and what it could lead to. At the very least, you’ll establish yourself as someone who knows what they’re talking about. If you’re just not into writing, look for other ways to stay busy. Volunteering can lead to connections, and it lets potential employers see that you’re a good citizen who contributes to society. Visit networking events and job fairs in your community too. Shake some hands and meet some people. 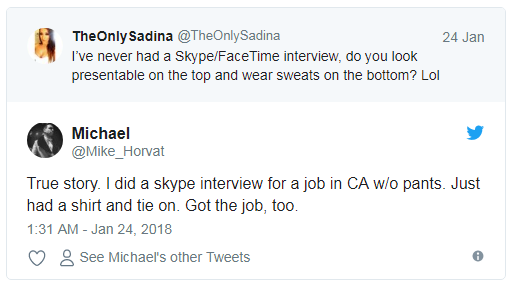 Opportunities like that can be even more valuable than an actual job interview. You wouldn’t walk into a job interview without taking a shower and making yourself look presentable. The same goes for how you present yourself online. You might need to clean things up a little bit. It’s a smart idea to look up information on the people who interview you, as well as other power players working for potential employers. Just remember – if you can Google them, they can Google you. Only now am I realizing that my profile photo on LinkedIn probably wasn’t helping my job search. It’s a photo of me with a cheesy smile wearing my trademark baseball cap and giving a thumbs-up. I thought it had personality and maybe a little class (since it is in black and white). After taking a second look at the pic – I understand just how ridiculous it might appear to someone else. Others have told me that it makes me look really young. I can just imagine potential employers looking at the picture and immediately labeling me an immature rookie. Take some time to think about the kind of image you want to project online. Get the keg party photos off of Facebook, and stop dropping f-bombs in your status updates (at least until you’re gainfully employed). Buying some parchment paper for your printer is no longer the best way to make a nice-looking resume. That’s about all I did when I first found myself looking for work. Nearly seven months into the hunt, a friend helped me jazz it up a little bit. She added some color, borders and headers. Then we saved it as a PDF file that could easily be emailed to prospects. I was kicking myself for not doing that sooner because call-backs definitely became more frequent. Cover letters are another area where I messed up. For some reason I thought it would be a good idea to include my tragic unemployment sob story in the letter. Maybe I thought it would show off my writing skills or that they’d see me as some triumphant overcomer – but that was not the case. When they say to keep your cover letters short and to the point – listen to them. I just had the opportunity to hire some graphic designers, and now I know it’s totally true. HR reps and interviewers will appreciate concise cover letters highlighting the positives of your career and education. Save your life story for the interview. That being said… it is wise to write unique cover letters for each job opportunity. To save some time, you may want to create a form letter with one or two short paragraphs you can adjust for different individuals and companies. Just try to keep everything organized. I once sent the wrong employment application to someone because the filenames were both Application.doc. Talk about awkward! During those first few months of unemployment, I was pretty picky about jobs for which I chose to apply. I soon found out just how tough the job market was including how competitive things were out there. Sometimes you just need to get back in the saddle and start working again – even if you feel like the job is beneath you. I can understand that you don’t want to miss out on your dream job, but the longer you wait the harder it gets to explain that nasty gap in employment. You should also realize that in many cases, you can still collect partial unemployment insurance benefits while you work a part-time job. There are times when temporary gigs and part-time jobs can lead to something better. However, in a cost-cutting economy, keep in mind that some employers will do whatever they can to avoid paying benefits. For that reason – it’s always smart to keep looking for the next open door. Don’t rely on just one source for job openings. I can remember getting email alerts for job opportunities at businesses that had already rejected my application. That’s annoying. It may also be a sign that you need to stop looking at the same websites every day. Think about places where you’d like to work. Go right to their company websites and look for openings posted there. Even if there’s nothing available, you can still make connections and send off your resume and/or portfolio to the powers that be. Besides the normal job search engines, try checking out state employment websites, and don’t forget about Craigslist or sites specific to your industry. 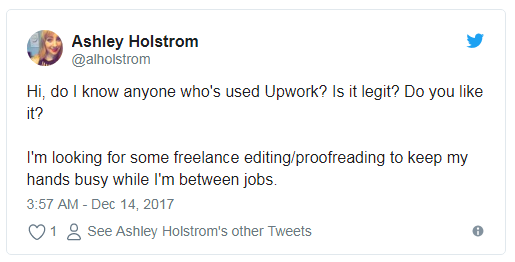 One thing I’d say you should never do is pay for someone to give you job listings and opportunities. That includes job postings from many staffing agencies that only give vague descriptions of the opening. Make some calls, do a little detective work, and find out who’s hiring for yourself. We all know it’s important to prepare for those job interviews. We read up on the company history, review common interview questions and rehearse in front of the bathroom mirror. But all too often your plan goes right out the window. The bottom line is every employer wants someone who can solve problems and overcome challenges. Think of a few different stories from your career, schooling and life in which you emerged victorious. It may take some practice. But if you have five different stories to tell in the interview – you’ll be in good shape. The worst thing that can happen in a job interview is that you let the interviewer ask all the questions and do all the talking. Maybe it’s time you stopped working for someone else and started your own business. Working for yourself is the true American dream, and if you ask me – it would be great there were more successful small businesses in this country. Small businesses are the fuel that powers job creation. A study by the Kauffman Foundation found that startups create around 3-million jobs a year in the U.S.
Now may be a great time to let your entrepreneurial spirit run wild. Just be aware of what you’re getting into. Running your own business is often time-consuming, especially at the beginning when it’s also tough to make a profit. This is not an option for the faint of heart. However, you may also be interested in less stressful forms of self-employment. Look into things like affiliate marketing opportunities and other ways to earn passive income. If you don’t have the ambition to be your own boss, you should still try to be open-minded about your career path. Think outside of the box about areas where your skills could be useful. You’ll stand out from the pack when employers see your resume because you have something different to offer. Just don’t pigeonhole yourself into one type of career. In my first couple of months on unemployment, I interviewed with a marketing agency for a job as a blogger for some of their big clients. At the time, I was really focused on being a media producer. I told them I thought “I’d be bored just writing all the time.” Needless to say – I did not get the job, and they made it clear my attitude toward was the main reason why. I didn’t mean to have a bad attitude. My point was I thought I had even more to offer. But I learned you shouldn’t try to turn a job opportunity into something it’s not – at least not before you get hired. One of the toughest things about being unemployed in a time like this is dealing with the rejection and the stress. But guess what? “How do you deal with rejection” and “How do you handle stress” are also common interview questions! It ain’t easy…but you can’t let yourself get depressed about your situation. In your experience, what has helped you shorten your job searches in the past? Tell us in the comments. Kasey Steinbrinck was the lead writer for The Check Advantage Blog, which covered personal finance issues and news about the economy. I enjoyed reading your article. Good idea to put your CV into a pdf.file. Descriptions of modern employers are always horrifying, but I am glad you made the best of it. It’s really wonderful guidelines and instances for searching job systematically following the self promoting strategies.